A mummy saw the animal train macarons I made for my younger kid two years ago and wanted one for her little boy too. 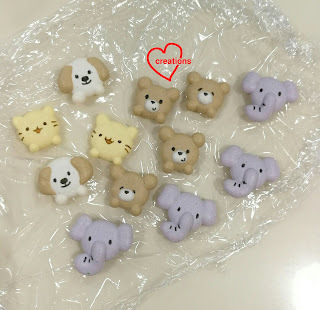 Having had two years more experience making macarons, I must say I have been learning new things but there is still so much more to learn :). Revisiting old designs after a long interval means that I may have inspiration to improve the design. This time around, I created a better visual display by making a train track and small turf in the middle :). I used the reduced sugar recipe for the macaron shells here. Both regular and reduced sugar recipes can be found here. You may refer to my Creative Baking: Macarons book for a systematic presentation of the basics and complex shaped macarons. You may refer to my video tutorials for macaron basics and piping of complex shapes on the blog too. Templates for the train macaron shells can be found in my Creative Baking: Macarons book. 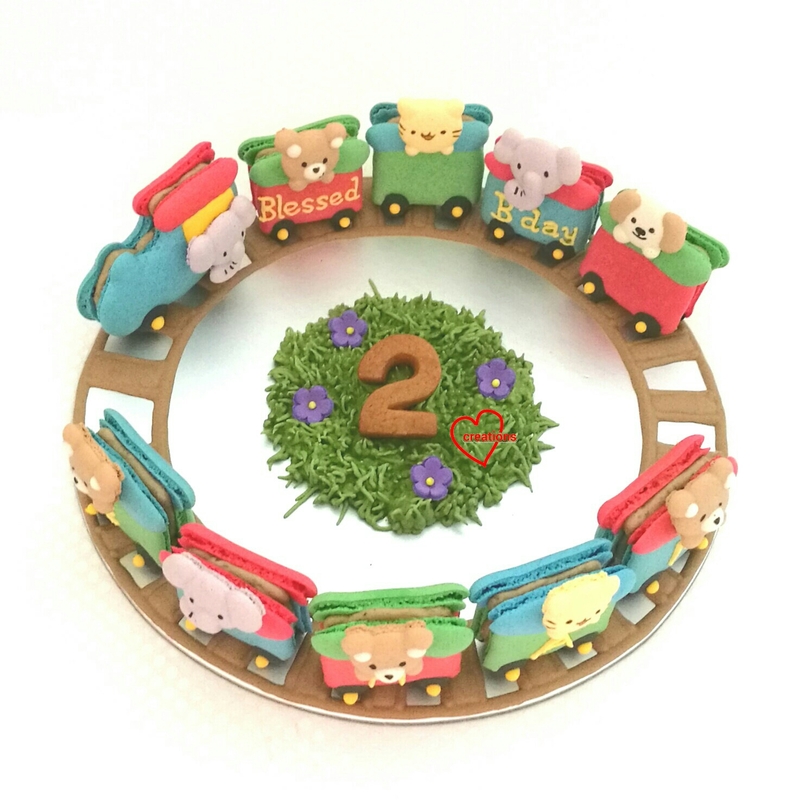 The little animal passengers can be piped as a single unit with the carriages and locomotive if you wish. But I didn't want to go through the hassle of preparing so many coloured batters, some of which only need a teaspoon worth or less. 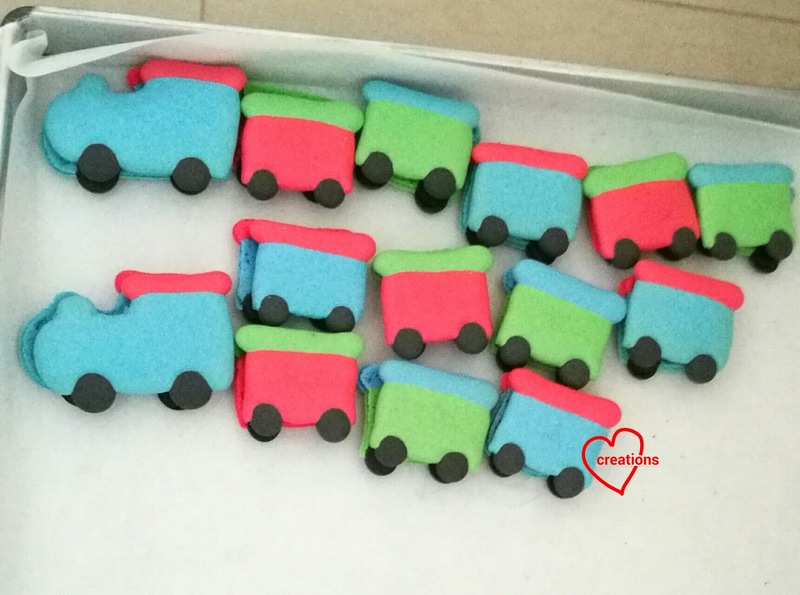 I ended up baking the passengers and the train macaron shells in two separate bakes, with the passengers made using whatever leftover batter I had for another request. This is how tiny they are! 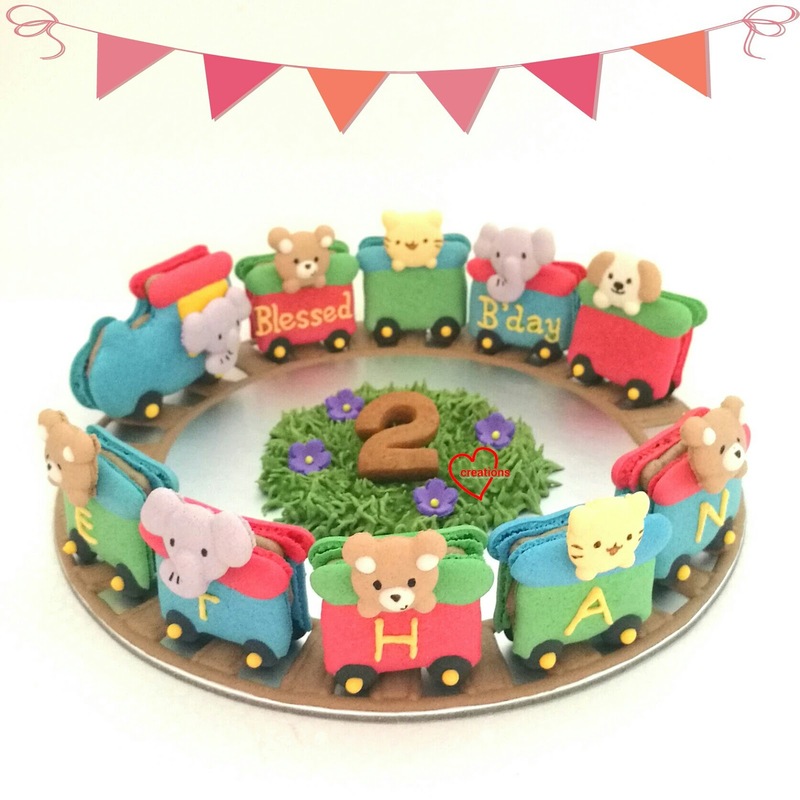 Royal icing was used to decorate the train macaron shells and stick the animals onto the train. Filling the shells with Earl Grey Lavender white chocolate ganache. 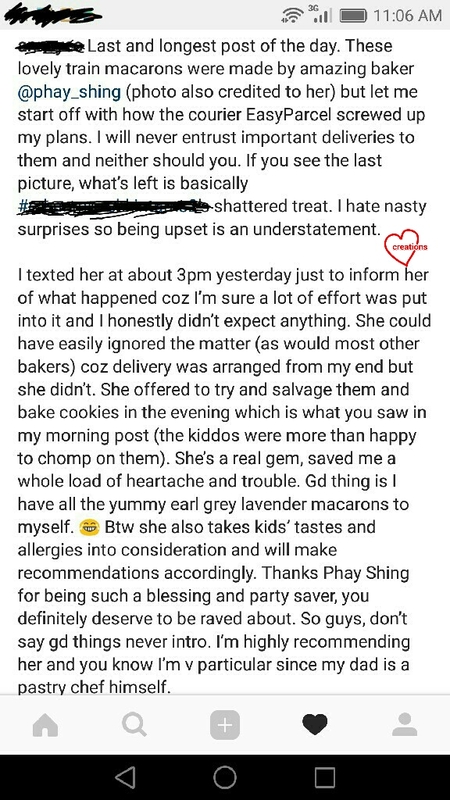 I used more freshly ground dried lavender flowers and went easy on the Earl Grey as young kids are consuming them. 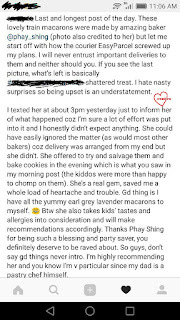 Ratio of Earl Grey powder: lavender powder is about 2:3 here. 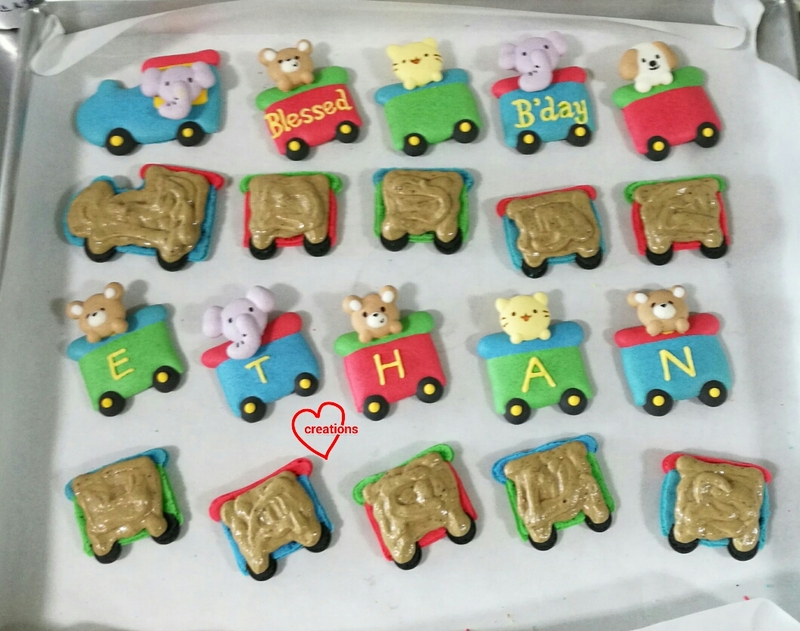 I created the base tracks by using royal icing coloured with some cocoa powder. The grass was made using fairly stiff royal icing and a special tip for piping grass. 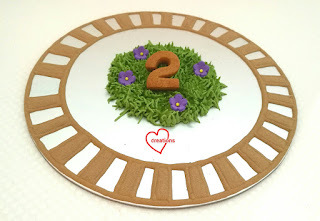 The number "2" is a brown sugar cookie that is stuck onto the icing grass before it dried. I have some store bought sugar flowers which I stuck onto the grass before the icing dried. The cakeboard base can be stored at room temperature in airtight conditions whereas the macarons have to be refrigerated for storage. 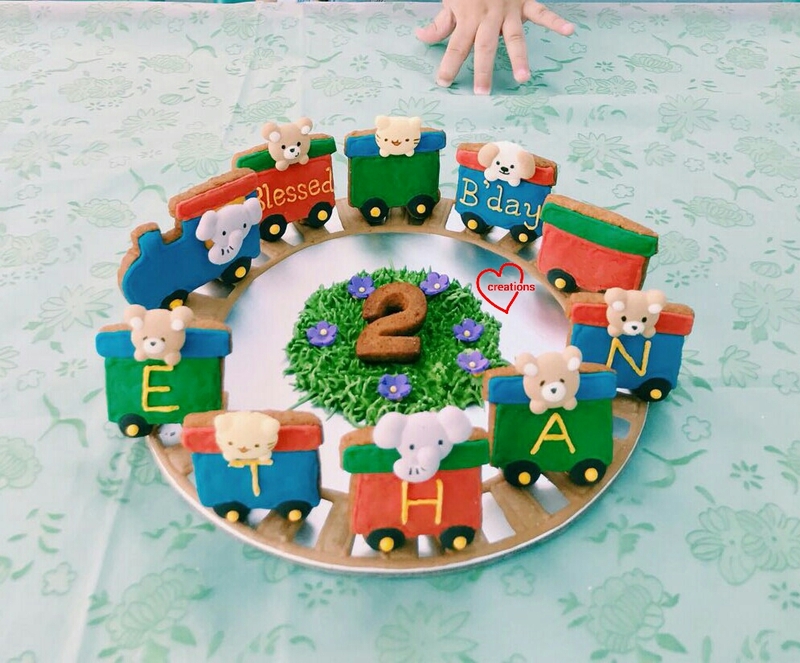 Assembly has to be done at the venue but hey, I am sure mummy or little Ethan would have fun arranging the train on the tracks...Or so I thought. This gorgeous set was unfortunately destroyed by the courier and I did an emergency rebake in brown sugar cookie version since I had frozen cookie dough and refrigerated royal icing on hand. 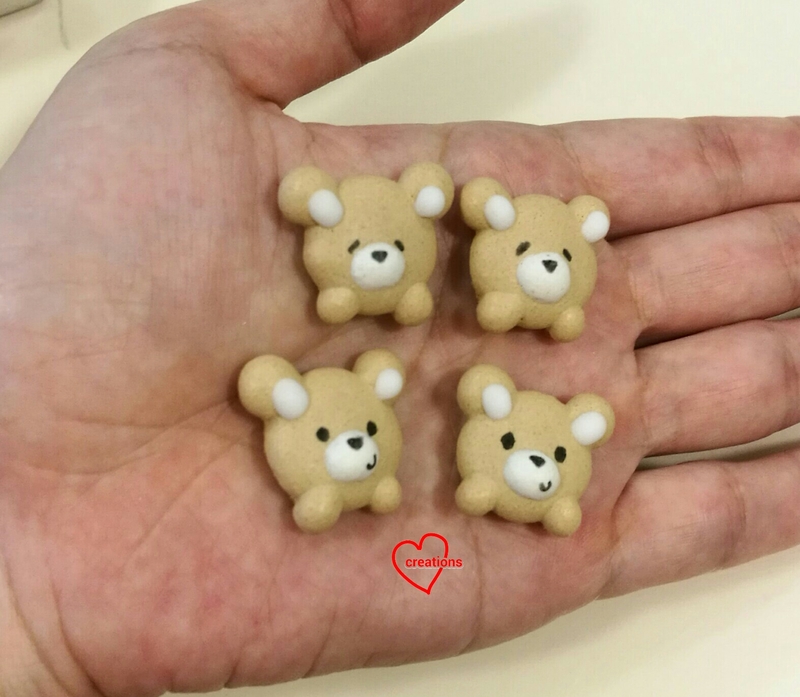 Thankfully almost all the little animal macarons were not damaged so I could reuse them for the cookie train set. 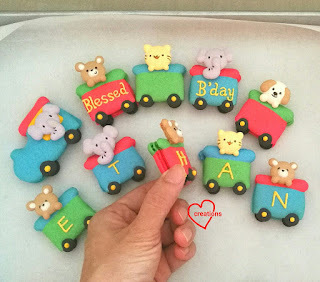 Cookie version at the party!